When our tasting room opens this Friday at 4pm, we'll release our latest blend of Boxer's Revenge -- Barrel-Aged Strong Ale. 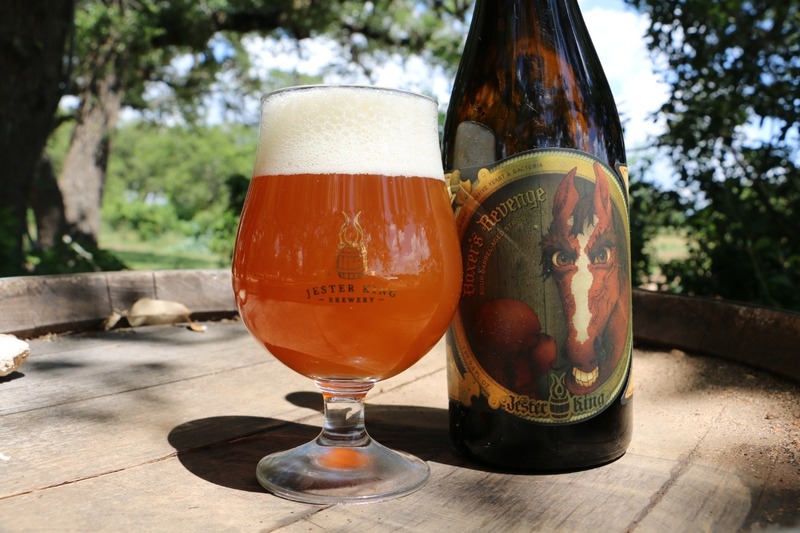 First brewed in September of 2010, Boxer’s Revenge was the first beer that we ever brewed here at Jester King! This release marks our 10th blend of Boxer’s Revenge. Boxer’s Revenge was fermented with native Hill Country yeast and bacteria and then barrel-aged about a year. This batch was blended on April 12th, 2018 and bottled on April 17th and 18th, 2018. Like this year’s blends of RU55 and Funk Metal, Boxer’s Revenge has a softer acidity than prior batches. This batch is 9.7% abv, has a specific gravity of 1.003, 17.0 IBU’s, and a pH of 3.56. Boxer’s Revenge will be available by the glass and in bottles to go (750mL/$18). There are around 6,000 bottles available. We anticipate some distribution of this beer. Also, in addition to our normal hours this weekend, we will be open this Monday from noon until 7pm for Memorial Day.